companies in 2018 to support the pursuit of special mission opportunities in maritime patrol and defence based activities in the region. Chris Sievers CEO of Air Affairs Australia said. “The teaming agreement between Air Affairs Australia and PAL Aerospace represents a significant addition to our capabilities in the region. Our collaboration with PAL Aerospace will further cement the presence of both organisations in Australia’s evolving aviation special mission industry. The ability for Air Affairs Australia to drive technological innovation in Australian aviation is greatly enhanced by this arrangement. A combined PAL Aerospace and Air Affairs Australia offering facilitates the delivery of global in service support capacity and consolidates worldwide experience in the maintenance and operation of a variety of special mission aircraft and configurations. Both companies believe this cooperative ability to provide customers with world-class solutions from the factory to the airfield and beyond creates a tremendous 2 value proposition. PAL Aerospace and Air Affairs are looking forward to jointly pursuing a variety of new domestic and global commercial opportunities. PAL Aerospace is an international aerospace and defence company with a focus on intelligence, surveillance, and reconnaissance (ISR) solutions. Recognized by governments and militaries for on time/on budget delivery, and high reliability rates, the company has grown globally. This record of accomplishment has led to operations in Canada, the Caribbean, and the Middle East. PAL Aerospace offers a single point of accountability for its programs and takes pride in being the trusted choice for clients worldwide. Air Affairs Australia is an accomplished and highly competent aviation special mission organisation and is able to leverage its significant proven experience to deliver highly tailored, high reliability special mission solutions to its Defence and Government clients throughout Australia and the world. Coupled with our considerable aerospace design, manufacturing and engineering capability, Air Affairs Australia brings dependable, customer-centric products to the Australian aviation market. Air Affairs Australia has just returned for exhibiting at this years Avalon International Air show. 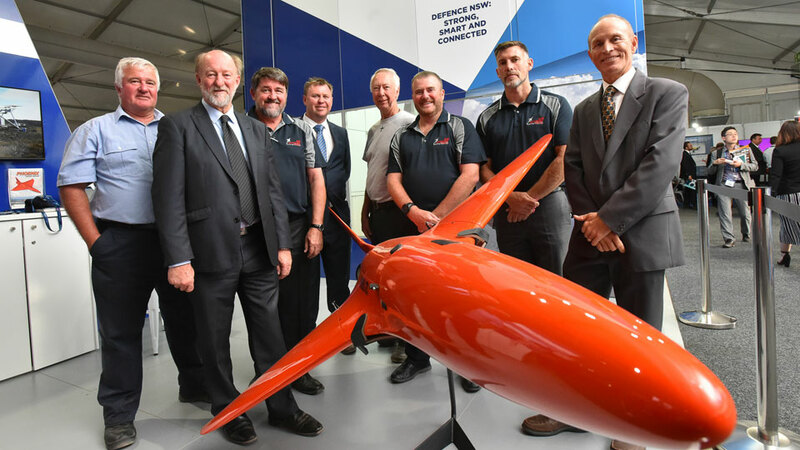 Air Affairs Australia displayed their Phoenix Jet target drone, teaming with the NSW Department of Industry on their stand. The team reported a busy week with a lot of interest in their services and products highlighted by two media announcements. Australia's Red Bull Air Race pilot Matt Hall also dropped by the stand to catch up with the Air Affairs team. Air Affairs Australia will be exhibiting at this years Avalon International Air show. The event will be held from Tuesday February 26 through to Sunday March 3. The Air Affairs stand will be located within the NSW Trade & Investment stand which is located in Hall 2 and the stand number is NSW 2G6. In partnership with Kratos defense, a Firejet drone will also be on display at Runway Jericho as part of the Austrlaian Airforce display. If you are visiting this event please come to NSW Trade & Investment stand or visit our outside display and meet the Air Affairs team. We will have company representatives on hand to discuss the products and services we provide. During the Christmas / New Year holiday break, AAA Fire scanning aircraft provided continued operational support in bushfire intelligence gathering. Between Christmas and New Year's Day, multiple aircraft were placed on emergency standby due to extreme fire conditions in Victoria, NSW and Sth Aust. Fortunately the service was not activated. However the bushfire situation changed at the end of the first week of 2019 with more extreme fire weather, leading to multiple emergency fires in NSW, Vic and Tasmania. During the following week, 4 firescan aircraft conducted numerous flights mapping active fires in all 4 states. 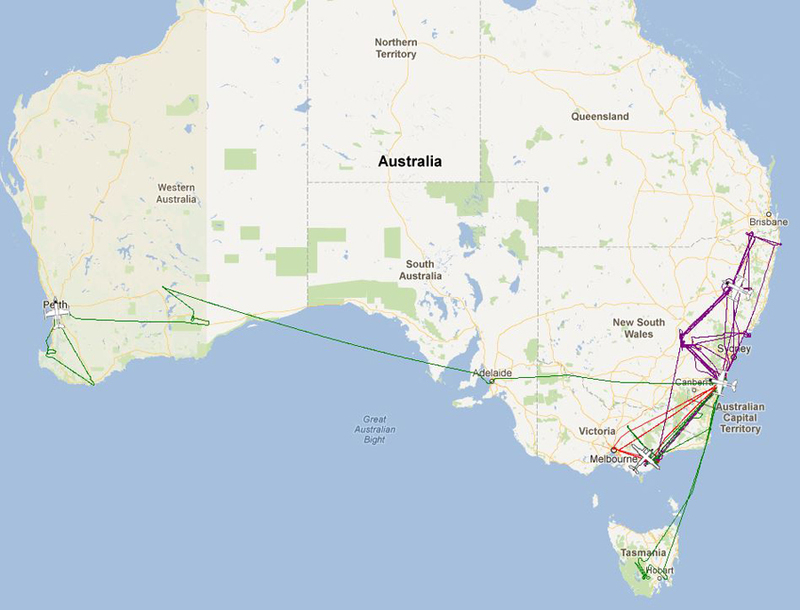 Combined with the east coast flight operations was the deployment of Firescan 124 (VH-LPJ) to Western Australia. Air Affairs has been providing ASIR services in Australia since 1994. In recent years, the company committed to developing and further enhancing the ASIR capability, specifically for bushfire and other emergency operations. With focus on systems developed for fast, high altitude platforms, the service provided now uses multiple Learjets as primary response aircraft backed up by Kingair B200's.